J got quite scared at Halloween, quite unexpectedly:first of the dark at the Jack o Lantern walk in the Community Garden-- so fantastic, on the top of the hill. Panoramic view of the city. In the dark the city lights looked like a thousand more pumpkins, a chorus to join those on display in front of us. 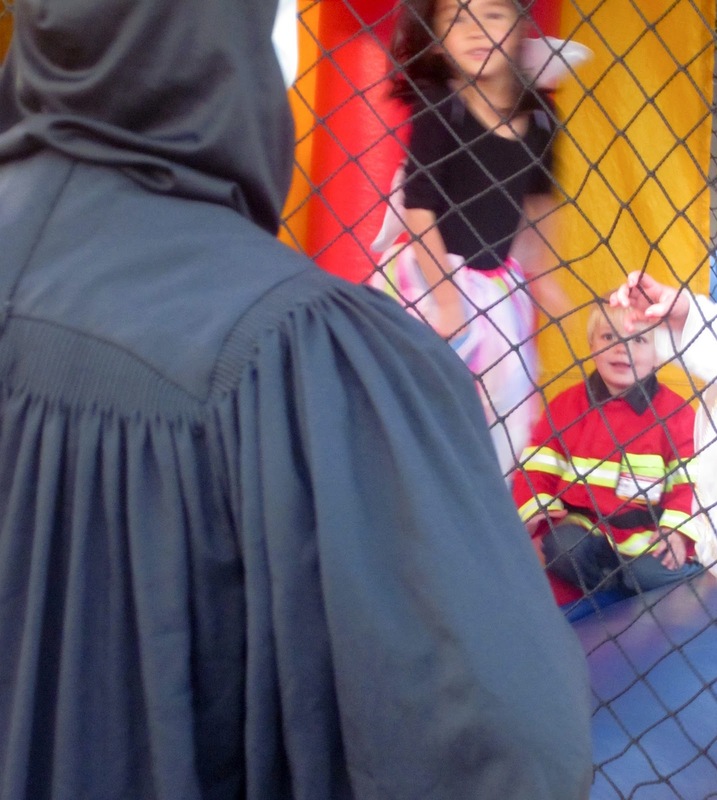 Then at teh neighborhood Halloween party, someone showed up in a Scream/grim reaper costume-- and J asked "why monster here? ", and tried to run away. But then the Day of the Dead fixed everything: little girls (big girls!) with painted faces playing with him on the merry go round, on the swings, the see saw. When we left, as we drove home, J asked me why the monsters had left, why had they gone home-- he liked them he said, they were nice monsters.